Hey long time no see!! Remember when I said, in my DIY Chalkboard Easel made from picture frames post, that I had a fun repurposed project to share? Well, two weeks, two birthdays, and an anniversary later, I am finally getting it posted! Best laid plans...lol! 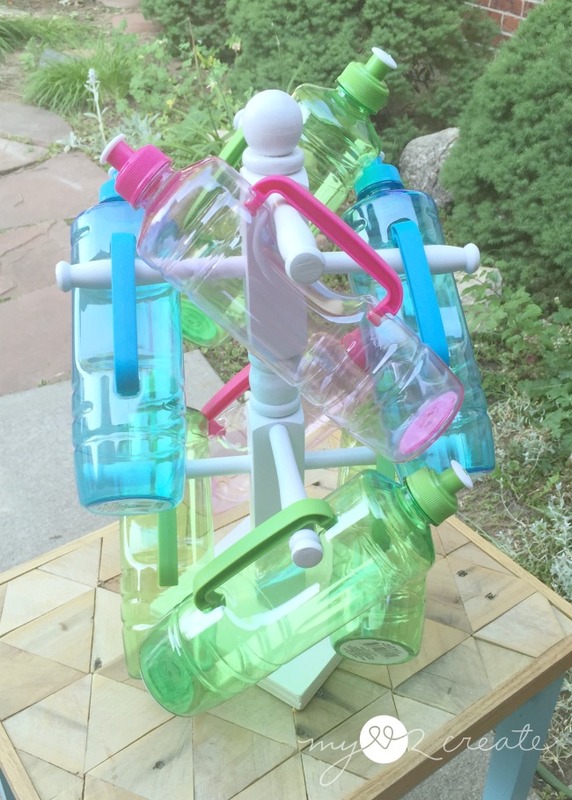 Here is my DIY Water Bottle Holder! Now let me tell you, this is great when you have a large family. Imagine 8 people. Wait, 8 thirsty people, it's hot. Everyone uses a cup, forgets which one is their's and gets another one...5 times a day!! You get it. I only have SO many cups and I would like to fill my dishwasher with something besides just cups. :) Something had to be done, then one day it hit me...I had made this holder for my daughter at the end of school and it was now just collecting dust. What if I assigned everyone their own mug to put on the holder and then they would always know where to find it!? I hit up the dollar store looking for mugs, but then realized that, while mugs would work, we are dealing with kids. Kids break things. So I was stoked to find these great water bottles with handles, and they had exactly 8. It was perfect! So I bought them. Now everyone has their own, I put names on the bottom with a sharpie, and they have a place to hang it so it doesn't get lost! Works so far! Anything to keep my life organized and sane right? 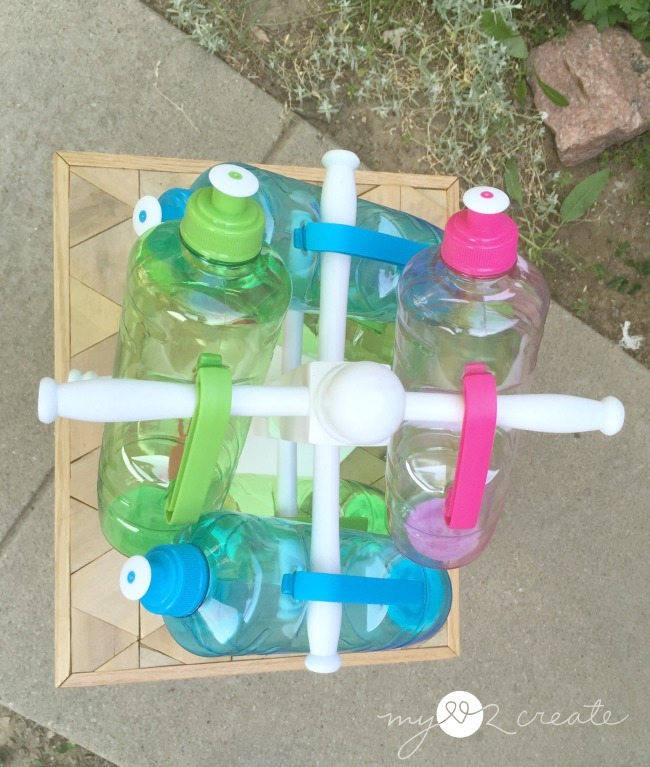 Let's take a look at how this water bottle holder came to be, and find out why I made it in the first place. 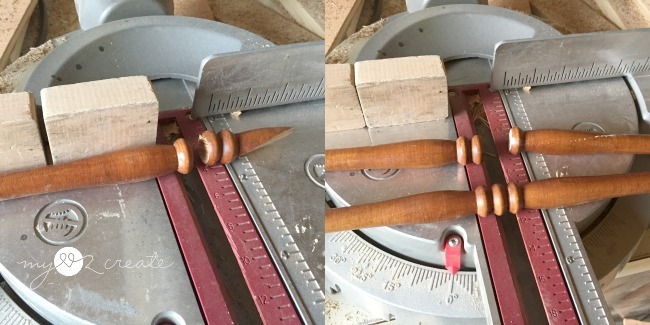 It took me all of thirty seconds to cut them from the chair, using my Ryobi Reciprocating Saw. Here it is in fast time speed. So easy! I guess I could have tried to cut them nice and even...but I was going to trim them down anyway so I just hacked them off. I also had this crib piece that has been sitting around for years. I have used other parts from this crib on some gift crates I made. I trimmed it down with my circular saw, making it the length I wanted. 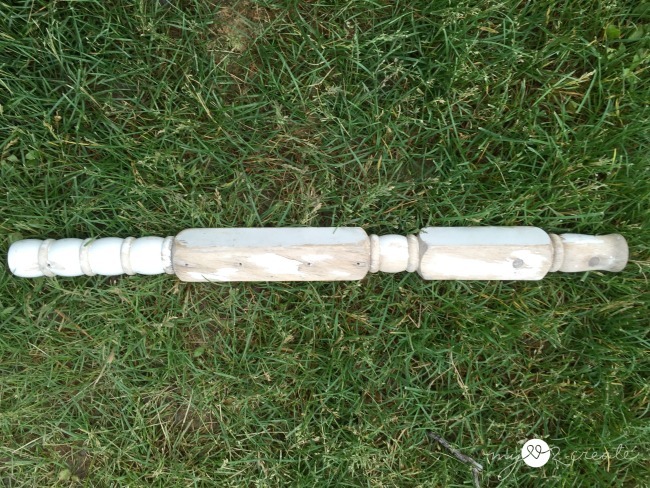 And cut the spindles as well. 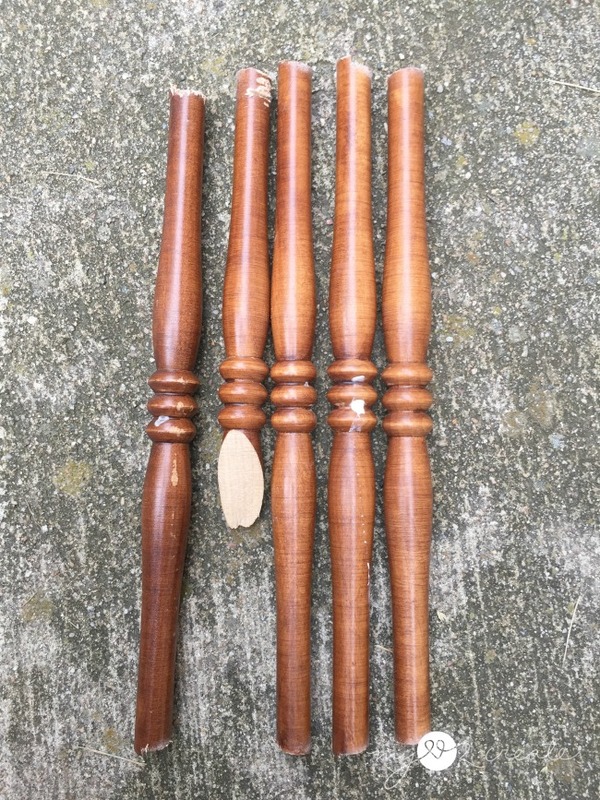 I cut some ends of the spindles with two bumps and some with one. 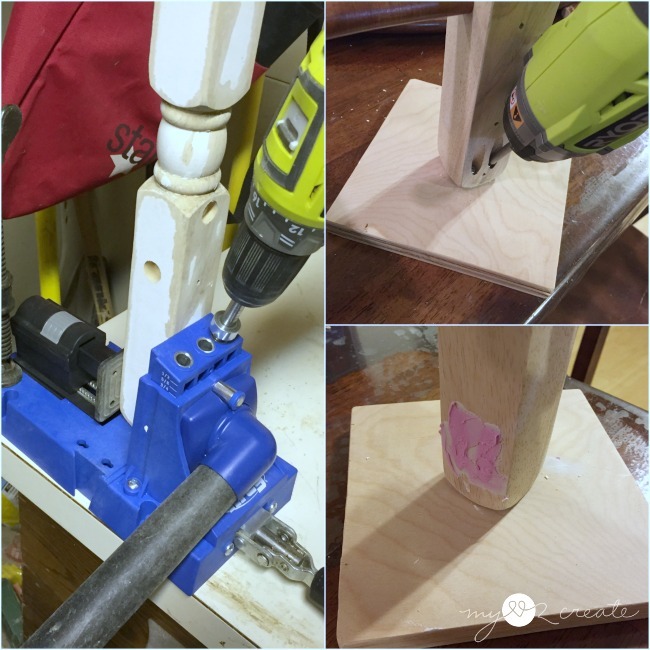 I found a drill bit that was a little bigger than the spindles and clamped my crib piece down so I could drill holes. 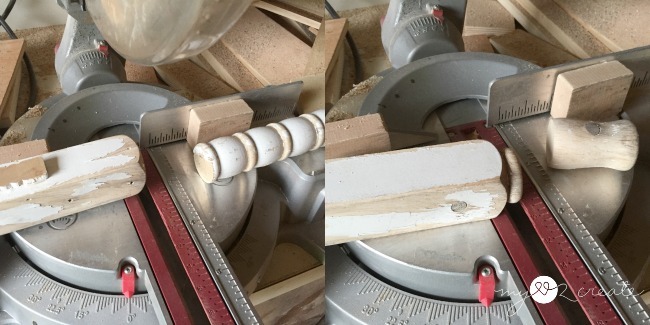 I staggered them on all four sides, and tried to the spindles to see if they fit. Just right! 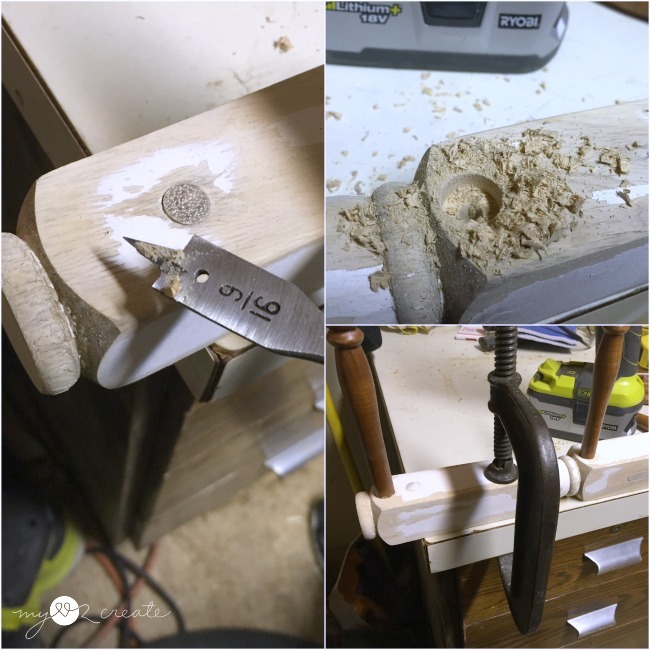 Drilling pocket holes with my Kreg K5 Pocket-Hole Jig made it very easy to attach my crib piece to a scrap piece of wood making my holder stand up. 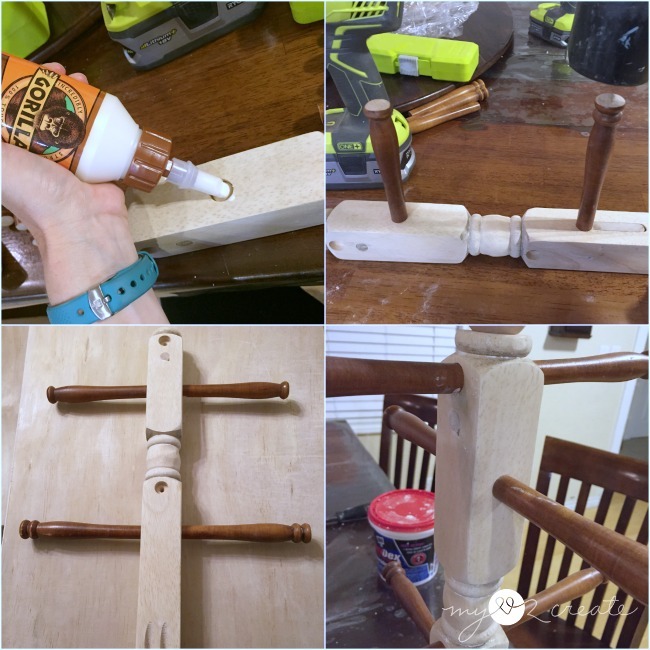 I used gorilla wood glue to glue in my spindles. You can see I also had previously sanded my crib piece to remove all the old paint. I actually made this holder the night before my daughter needed it for school, and this was a 6 am spray paint job the morning of. You can see the sun starting to rise...gotta love last minute projects! Ten minutes before school started I loaded her cute little headbands onto the holder, snapped a few shots, and rushed the kids to school before the bell rang! Phew! 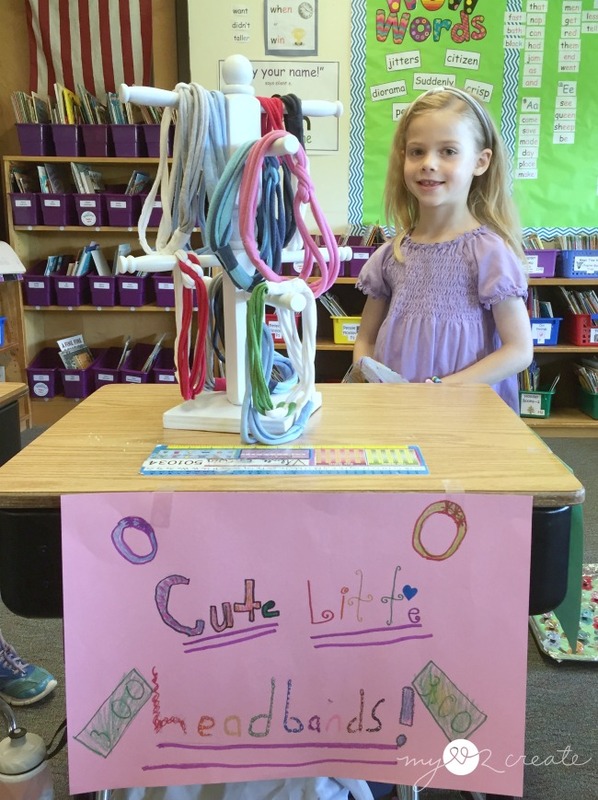 She was pretty proud of her headband display, and did a great job selling! 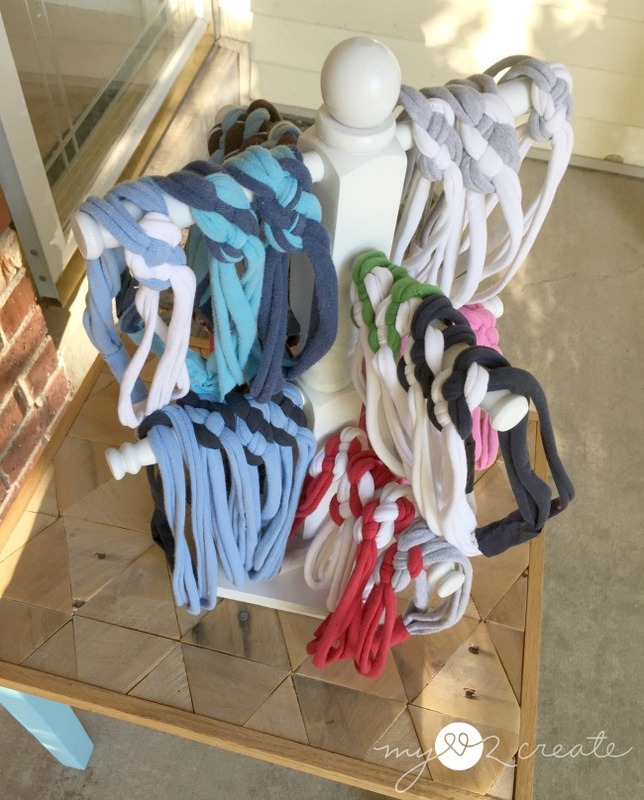 Of course she sold out, and even several boys bought some and wore them sweat band style. It was cute! She made these all by herself out of old tee shirts, well ok, I cut the strips, and hot glued the ends, but she did the rest! It was a success and then we came home and my newly made holder had no purpose. When summer hit and the cup problem started driving me CRAZY I realized that I could convert the headband holder into a Water Bottle Holder and hopefully solve my problem. That is what I call a happy ending! I love all the fun colors of the bottles, my daughter and I were glad the dollar store had at least two pink bottles. Us girls have to stick together! Oh and doesn't it look cute sitting on my Pallet Top Table? 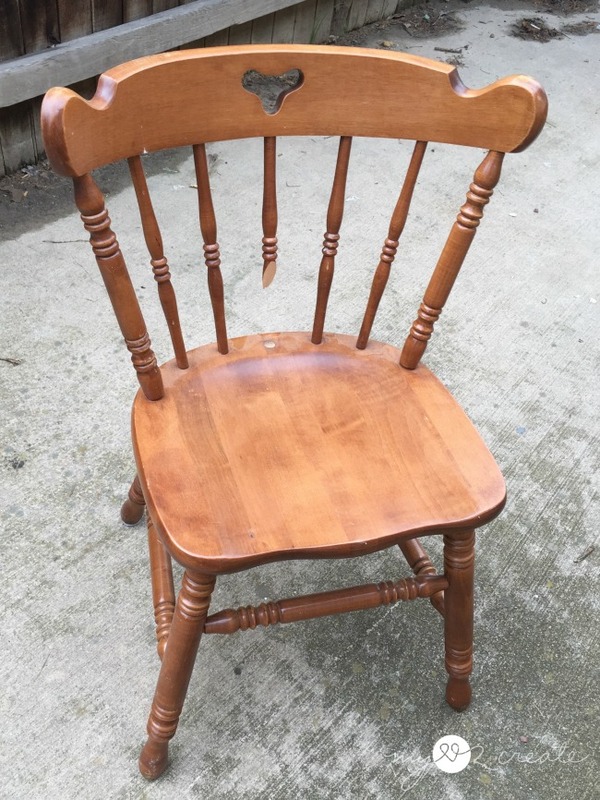 Another fun repurposed project. 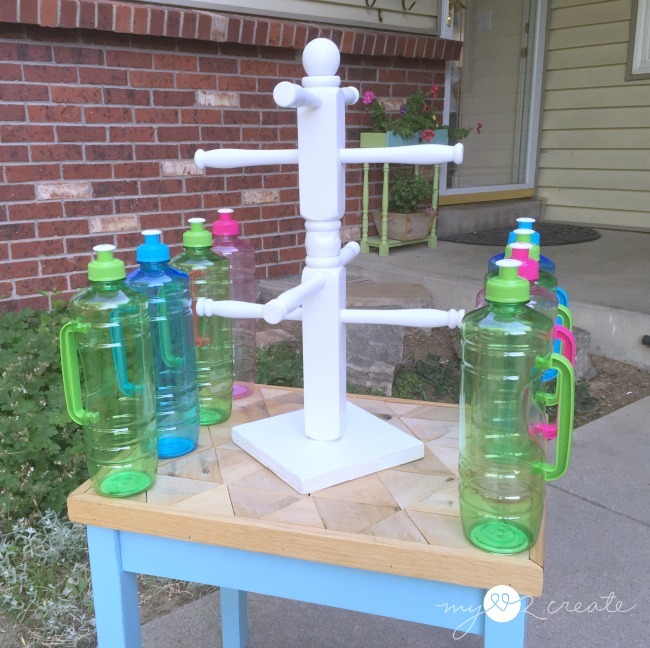 It is nice that I can take this outside for when the kids are playing or we are having a BBQ, but it resides mostly on the kitchen counter...that is now free of cups!! Muahahhaha!! P.S. I finished my bed!! Eeek! I will be posting it next week! 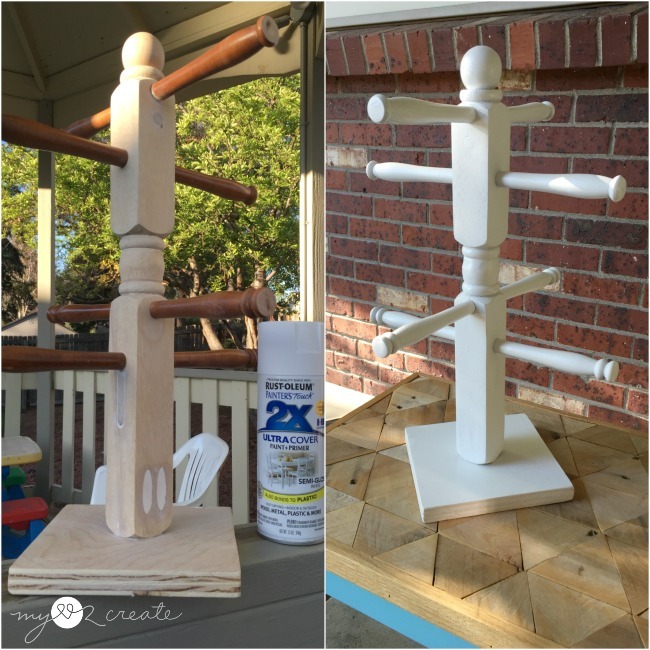 Mindi-your repurposed spindle project is perfect for so many uses. 6 am spray painting? hahahah you're super mom! Love it and would be so versatile. Pinned & sharing. Hope you have a great 4th of July. 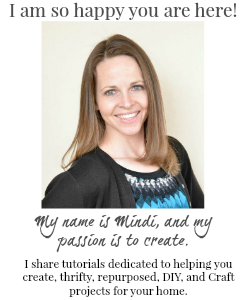 Thanks for dropping by the Inspiration Spotlight Party! Your little one is such a cutie! She's learning from her mama! 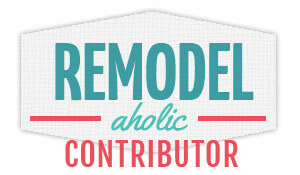 Love this project, I can be used in so many ways! You always have the BEST ideas!! I hate our water bottles being all over the place. This would work well! How do you do that? 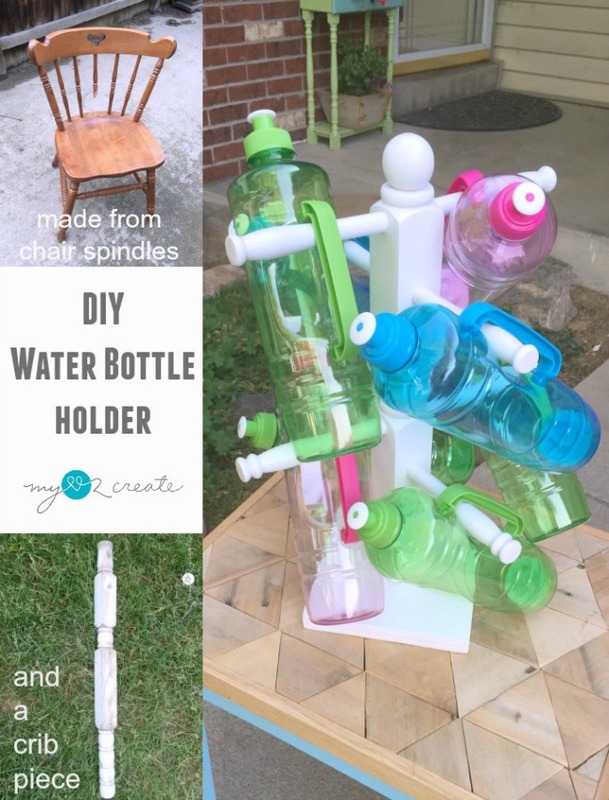 Chair into water bottle holder...who knew! I also love the picture of your cute daughter and her headbands! Awesome! Again, how do you see the potential in such things? Clever repurpose! This stand has so many possibilities. I can see you using it a lot! thanks for sharing with SYC.